The job of a wedding planner is very challenging as he/she has to manage multiple services at a time ensuring that the clients and their guests enjoy themselves in the ceremony. If you are planning to become a wedding planner, then you need to have a plan which you should follow systematically to succeed in this competitive field. In this article, we have provided some points that you should look at when you are trying to establish yourself as a wedding planner. 1). To understand what does the job of a wedding planner include, you need to complete a diploma/degree program related to wedding planning. This will give you an in-depth understanding of different types of contracts that you have to make with your clients as well as the vendors. Additionally, this course also includes topics such as improving negotiation skills, marketing strategies, wedding ceremonies, new trends in venue design and others. 2). Just getting a formal diploma/degree is not enough and you should gain some experience working under an established wedding planner. This will give you practical experience in managing different people. Working under an experienced planner will also give you an insight as to how to look for a specialist, in a field related to wedding planning like the best wedding photographers in India. It is important that you choose the right person for the job as it will not only improve the quality of your overall service but also help you to establish your brand in the market. 3). People like to organise their weddings in different ways and as a budding wedding planner, you must select your niche market. There are many types of wedding planner who is focused on a specific theme like a destination wedding or an ordinary wedding. Whatever be your choice, you must plan accordingly so that you can do well in that particular sector. 4). You should have a good plan for how you wish to grow your business. A good plan that is more likely to succeed will ensure that the chance of your business plan getting approval from the bank for getting loans becomes higher. 5). As a wedding planner, you need to plan for everything (if your client has asked you to organise everything from scratch). One important task of a wedding planner is to organise photo shoot of the couple. To conduct a great photo shoot, you also have to rent the services of a good photographer to the wedding event. For this, you have to research about some of the best candid wedding photographers in India and after going through their portfolio and their service charges, choose one that will give you the best service possible in your budget. There are a host of other tasks that had to be taken care of like renting a wedding hall, hotel rooms, transportation, caterer, florist, decorators and many more. As an event manager, you should develop skills of not only negotiating with different vendors but also making sure that they perform their task optimally. Read more about wedding planner blog. If you are trying to start a business as a wedding planner, then you need to realize that it is a very competitive market and you need a good plan to improve your brand recognition. 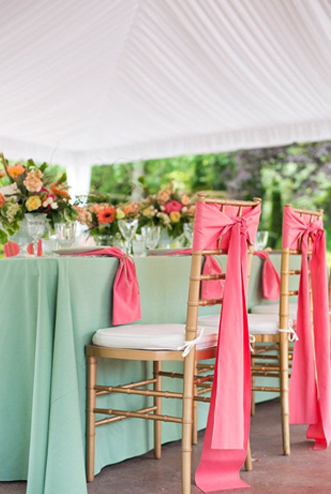 Additionally, the most important part to establish your name as a great wedding planner is to have a foolproof plan for each of your projects (organizing wedding events). In this article, we have listed some of the advantages that your business will get when you plan systematically to ensure that the wedding ceremony is successfully organized and all the visitors enjoy their time in that event. It does not matter whether you are a marriage planner in Delhi or for that matter any other city, to succeed in this business, you need to have a great plan that will allow you to organize the wedding in a very proper way. 1). You need to establish yourself in the online platform: If you look at the market trends, then you will find that there are a huge number of Indian wedding planning websites that allow people to connect with experts in this field and also rent their services to organize a wedding event. Therefore, creating a website for your business is very important, as it will give you a bigger market exposure. 2). You should always have a focus on what you want to achieve through your established plan. It could be organizing the event itself or it could be marketing your brand so that your company is recognized. Therefore, first, fix a goal and then design the plan in such a way that it helps you to attain it with the least number of obstructions. 3). If you are new to the business then is sometimes you may get overwhelmed by the number of tasks you have to perform. This could include hiring the venue, hiring the services of a photographer, booking the hotel rooms for the guests, taking care of the transports and catering system and many more. However, if you have a good plan, then you will be able to space out your tasks in such a way that they do not overwhelm you. 4). If you have a plan and past experience, then you will know which part of wedding management is a problem area in which is an easier one to do. 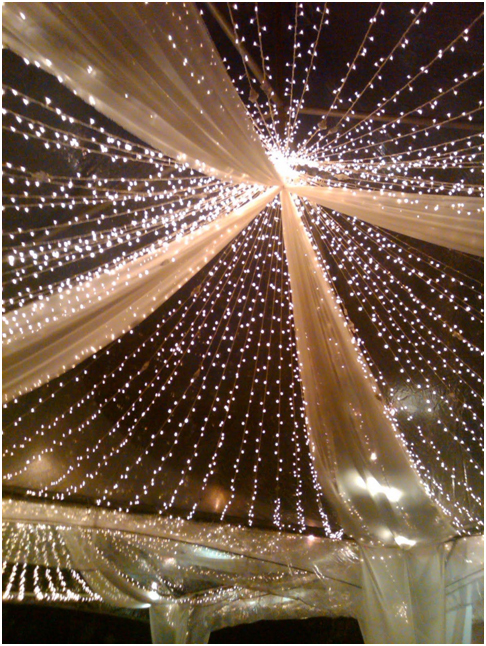 Once you have identified these, then you can plan for those areas that may create problems while organizing the event. This will allow you to put your energies in tackling likely obstructions that may occur and not waste it on some flimsy issues. 5). If you want to succeed in this business where you have to deal with different people and work efficiently, then you need to be proactive and energetic. Do not wait for an opportunity to come to you rather go out and seek opportunities. Only if you do these things, then you can succeed in your effort to establish yourself as a professional wedding planner. 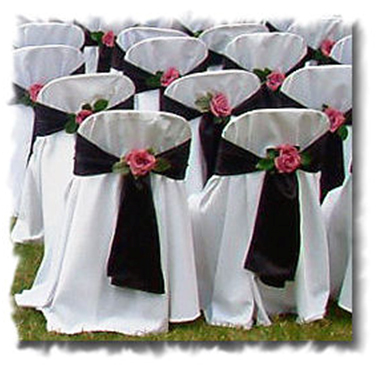 If you are awedding planner, then you can use a variety of tools to ensure that your business runs smoothly. In this article, we have taken the suggestion of top wedding planners in Delhito collate a list of very useful tools that are used by many business that provide their services as wedding planner. 1). Aisle planner: When you are looking to streamline your business related to wedding planning, then there are a host of tools available online that can help you a great deal. One such tool is known aisle planner. This extremely useful wedding planning tool gives you a range of options. These options include sketching the overall picture of what you intend to do, information regarding your customer, the venue and all other elements that are integral to wedding planning. This will give you a systemized way of focusing your effort in such a manner that the wedding event goes smoothly and the people who have come to the event enjoy it fully. One of the important features of this tool is that it allows you to invite the wedding party and include them in the planning process. This will make them better informed of what to expect on their eventful day andalso allow them to share their own ideas to make the day even more beautiful. 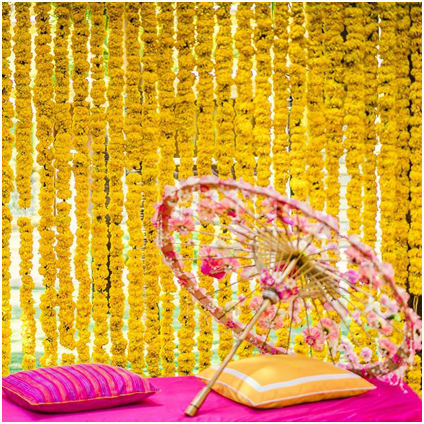 2).Clickup: This is also a great wedding management tool like the Aisle planner and is used by some of the best wedding planners in Delhi and other part of the country as well. The main USP of this tool is that it is very flexible in nature and you can use it in multiple ways to plan a wedding event successfully. It is a very well designed comprehensive wedding planning tool that helps you to keep track of all the ‘to do list’ for your wedding planning project. The range of features available on this planning tool makes it a popular choice for wedding planners not only in India but across the world also. 3). Smart Street: As a wedding planner, you need a very powerful management tool that will give you the systems and processes to help you to plan different wedding events successfully. When you are trying to establish your business in wedding planning, then you will face the issue of how to organizing your tasks so that the right thing is done at the right time in the right way. To do this you can use the Smart Street program prioritize your work. This will help you to keep track of all the tasks. 4).Wave: This tool allows you to keep track of your financial goals and make sure that there is enough provision for your taxes, emergency requirements as well as any legal fees. It also gives you the option to invoice, make payroll for your employees and a variety of other financial tasks. If you are looking for a program that will help you to keep a sharp eye on your expenses related to your business in wedding planning, then this is the right tool for you. Wedding is an important yet cherished event in everyone’s lives. Every individual of course, eagerly waits for the day to be happen in their life. Once the dates got finalized, it become breath-taking event until and unless it gets finished. This happens because you want it to happen the way you wanted. Obviously, you want it to be remarkable in your life and life of others who witnessed it. If you want your marriage ceremony event to go smooth and hassle free and desire it to leave a mark on the life of people who witnessed it. 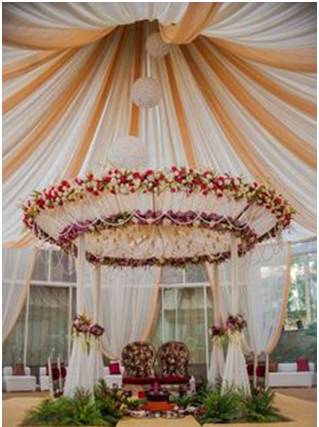 Then of course to make it simple and easy for you, go for top and best wedding planner available in India. Basically, wedding planners have the right set of trained professionals who have skill set in various specific domains required to make your marriage/wedding ceremony event a memorable one. They will assist you with the design, management and planning of your wedding event to make your dream wedding a perfect wedding event. 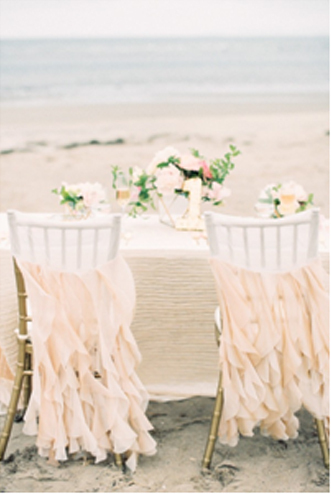 But before you approach any of the wedding planner, look for certain qualities/ traits and services offered by them. Are they willing to interview the couple and parents to identify their needs? Are they interested to prepare an efficient budget for your marriage ceremony? What is the design, style and themes they offer for the event? Do they have list of venues ready for you? Do they make detailed checklist for your marriage ceremony events? Are they aware of your customs and rituals? Once you figured out all the question to be asked from any wedding planner, they you are ready to hire a wedding planner for your marriage. Now, I would like to introduce top wedding planner in India and list of service they are offering to make your wedding a classical and memorable event. L’Amore wedding make every wedding event a memorable one by adding a fairy-tale element to it. 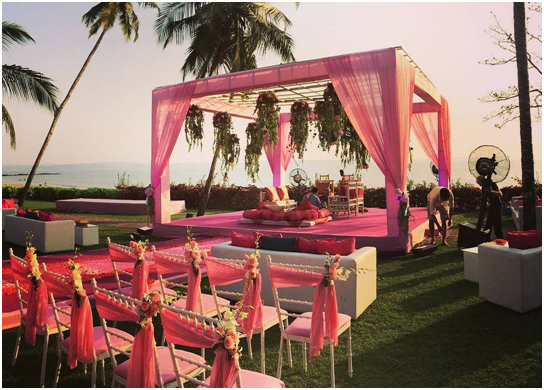 They have a 9 years of wedding planning experience in USA that is continued in India with services that include venue selection, theme decor, entertainment, performance of dances, destination wedding, video/photography, catering/ bartending, bridal personality, etc. Established in 1990, they are well known for meticulous planning and its flawless execution. They had a large 29 years of wedding planning experience. Their services include airport welcome, providing gift hampers, arranging functions, wedding stationaries, artists, flowers, permission and license etc. Magic light wedding planner have experience of more than 15 years that helped them to relishing a chance to plan a fabulous wedding. Their services include wedding management, decoration, guest management, entertainment, photography, transportation, catering, mehndi, make up etc. Regal wedding destination is providing its services in India for the past 14 years. They make destination wedding filled with fragrance like that of flower and make it memorable and include services like initial consultation, planning, coordination and hospitality. Elite Wedding create amazing and unforgettable experience and make your wedding an outstanding one. They work tirelessly to make your dream wedding the real wedding. Their services include destination wedding, complete planning and management, decoration, design for mehndi, sangeet and wedding etc. Of course, marriages are settled in the Heaven but are acclaimed on Earth. 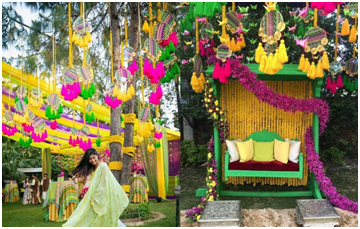 In Delhi, planning a wedding is always an overspending event, that include wonderful decoration along with proper management of hundreds of guests and a lot more activities. Wedding ceremony may be thought as the festival brimming with fun, joy as well as perfection with happiness where couple with floodlights want to share their best moment of their life with everyone. The event begins with the engagement of the couple and need a lot of attention till the end of wedding ceremony. 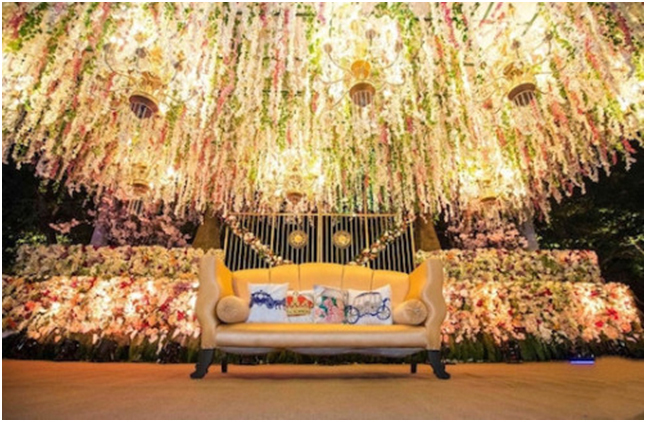 Each event must be treated as important and integral part of the wedding and need a careful and flourishing organisation of the event that should leave a mark on each spectator who witnessed it. If you want your wedding ceremony event to be memorable and remarkable and also if you are ready to have a large budget for your marriage ceremony then it is advisable to go for a wedding planner. A wedding planner will make each and every arrangement for the wedding event leaving you away from all sorts of worries and let you enjoy each bits of small moments of your wedding ceremony. The choice is very much customer specific to choose the best and top wedding planner but before that you should understand what you want for your wedding ceremony and what are the services a wedding planner offers and make sure that all your requirement exactly matches with the services offered by them and then make a final call. The below are the list of top and best wedding planner available in Delhi so that you can create a wonderful memory of your wedding ceremony event. 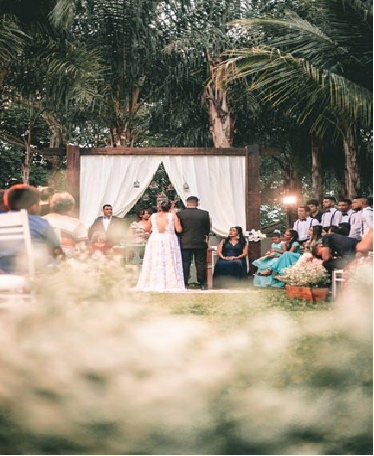 Dream events promises to maximizes the potential of your event and make it unique by identifying the theme and objectives of your wedding ceremony that include challenges and innovation to it. They are the team of highly knowledgeable and professional consultants to arrange your dream day. 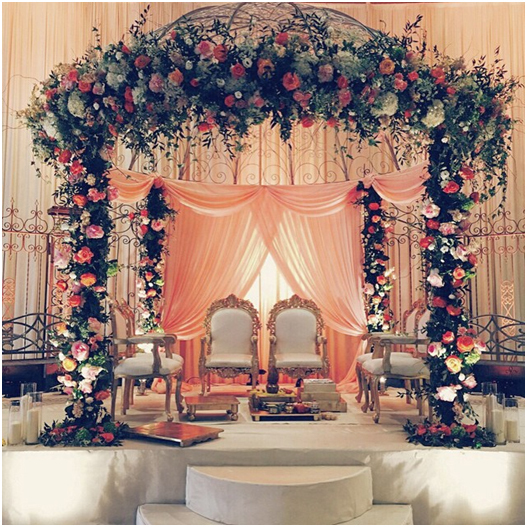 They have a wide range of services that include exploring wedding venues, wedding decoration, wedding band, etc. A wedding ceremony without sangeet is like food without salt so they provide ladies sangeet decoration and its arrangement, wedding catering. 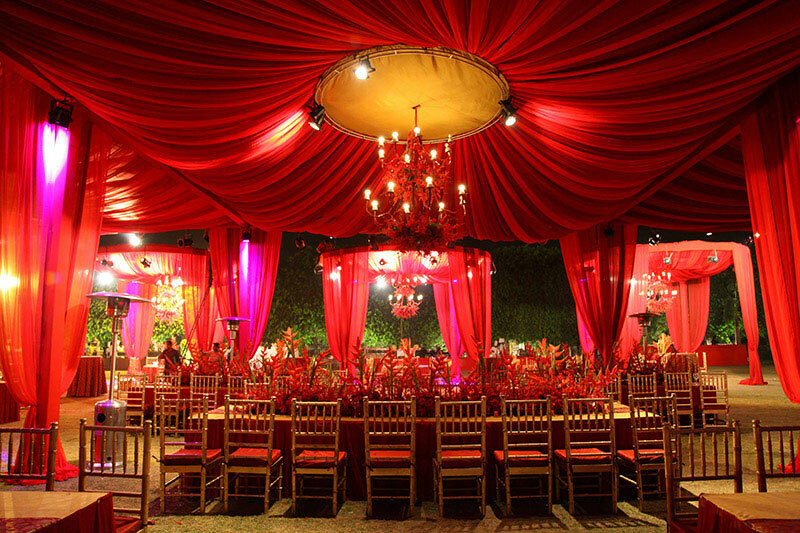 Baraati Inc claims to work day and night to craft your wedding event while keeping things as simple as possible. 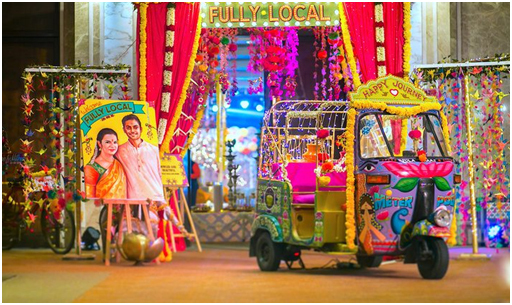 They have well understood that Indian wedding is a mix of profound culture elements, elaborate rituals, colourful celebration and festivities. With four year of experience, they provide services that include full wedding planning, online wedding management, choreography and live entertainment production, etc. They provide an assurance that Baraati Inc will construct a fairy tale within the budget. People at Vivaah wedding solutions work tirelessly from preparing the guest list to selecting vendors to salons to the couple last dance with an experience of 13 years. They promise to convert your dreams into reality. Their services include wedding function, pre-wedding function, youngsters night, etc. 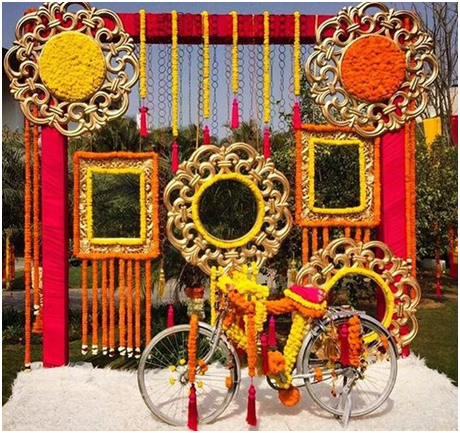 Shubh Muhurat luxury wedding wants your dream come true by planning the wedding in an adventurous and innovative way. 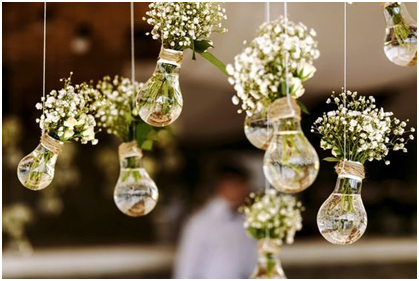 They are dedicated to plan your special day and will turn it into an adventurous event by introducing innovation to it. They understand couples needs and prepare all the required services to be provided to customer to give them a smooth experience from engagement to the end of marriage. Their services include invitation design, venue selection, design and aesthetics, catering and menu selection and a whole lot of others services that makes your marriage a different one. Purple bling has a passion to creativity. Their constant innovation creates unique experience that the guest will always remember. The services from Purple Bling include wedding management, wedding invitation, decoration and set up, etc. So it’s your wedding and you want to make sure that everything goes memorable. It is safe to say that you must be spending a rather good amount of time on the best way to make your wedding all the more memorable. This is particularly when you are attempting to make your wedding absolutely exceptional for all your guests. Don’t worry; these ways given below will make your wedding an unforgettable day for all your guests. Have a dance competition: You can turn the stage of your wedding on a dance floor at the cocktail party. Regardless of whether you have friends or relatives who can dance like a pro or simply the ones who are just searching for a decent time by dancing their heart out, a dance competition is a great method to get everybody on the floor as well, since your guests are most likely going to be off seats to watch the dance already. On the other hand, you can also enlist a good dance professional to instruct all of your visitors some good dancing steps. 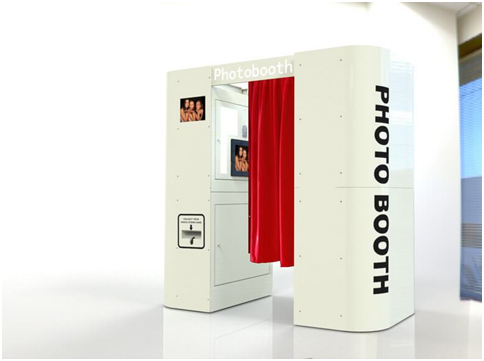 You can have a photo booth: It is a great idea to have the best wedding picture takers on your wedding day. The wedding photographer will add wonder and feelings to the old wrinkled face of your granny while she looks at you with love. Yet in addition, you can also have a photo booth. Individuals like flawlessness yet they like fun as well. A photo booth with interesting caps and glasses and different extras will add to their recollections. Comprehend that weddings are likewise similar to family and friends reunions. Cousins meeting and old friends meet after a long time. A wedding is nothing less than a celebration time. 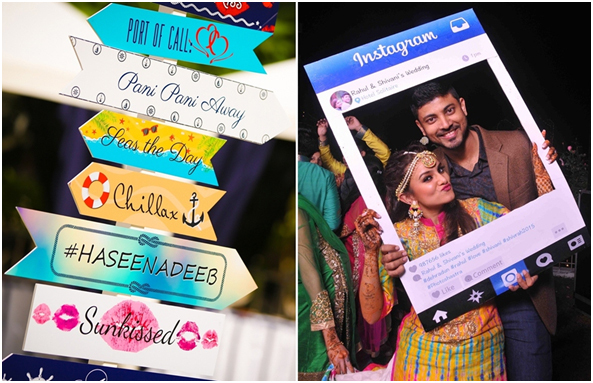 Your guests will love the idea of getting clicked along with their friends and family and appreciate the fun. Games for guests: Designing games are the best way to keep your guests involved amidst the time between two different ceremonies. The destination weddings have less number of visitors, consequently, it would be a possible and profoundly captivating thought to plan some games for guests. For the most part, the guests get exhausted on the off chance that they don’t have anything to do between two functions. Basic, easy yet fun recreations and games would give you an opportunity to bond with your loved ones. This can without much of a stretch be organized by your wedding organizer or your supportive companions! Furthermore, you can conceptualize with your family over the sort of games that you could keep. It will be fun to design and execute. What’s more, your guests are certainly not going to forget it. Customize your invitation cards: You have presumably heard about this one before because it is a very popular option. Use ideas that think about you and your life partner. For example on the off chance that your spouse likes sports and you like reading books, you can utilize these on your invitation card. Or on the other hand, if it is a destination wedding, you can get your invitation cardstructured as a ticket! Make your wedding card emerge. Your aim should be to make your wedding card a reference for your guests for the future. Make some great utilization of the Internet. There are a huge number of thoughts holding on to be found and implemented when it comes to invitation cards. Bachelors Party: Your singlehood has been there with you all through your growing up years, would you not like to bid goodbye to it properly? You can have a major or even a little gathering of friends, however, do have one. It is the one time when you can really let free and celebrate like never before the wedding pressure actually hits you. This gathering might cost you anything between 40 thousand to 1.5 lakhs, contingent upon how grand you want it to be. These things are regularly ignored by people and they end up thinking about it later. Along these lines, plan early and get your financial plans set up. Also, on the off chance that you are missing the mark, consider getting a instant personal loan to in case you are falling short of money. Put wedding sings all over: Why just the entryway? Individuals just observe it once, while entering. Set up the “you marrying your significant other” signs all over the place. 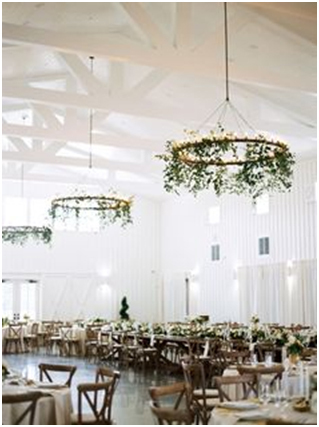 Little banners, focal points, showpieces, and flower beautifications can be put all over the place. Brand your wedding with your name. You could do exceptionally inconspicuous things like utilizing your name in the little umbrella on the beverages that get served or the confetti that swings from the enlivening trees. There could be chains of paper lamps with your photos on the decorations with welcome notes. Your guests are going to remember this long after. Live stream your wedding: Not just at the setting but for all your guests who couldn’t make it to your wedding. There will dependably be a couple of guests who truly need to be an observer to your wedding however can’t make it for whatever reasons. You should consider them as well. Obviously, sharing the video is an alternative. However, the recordings come to you late. Furthermore, there is in no way like live broadcasting, right? Plan a live broadcast for your far off relatives. Karaoke night: You can start having someone who sings well begin this karaoke for you. This will give an opportunity for people to dedicate their songs to their partners. Imagine your grandfather singing for your grandmother or your uncle singing to your aunt. It will be a pretty amazing time.